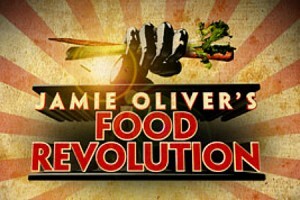 Over the next few weeks, I will share my opinions on each episode of Jamie Oliver’s Food Revolution (ABC, Fridays, 8 p.m.). I encourage you to leave your comments and thoughts as well. These posts are not meant to be recaps; they assume you have seen each episode. 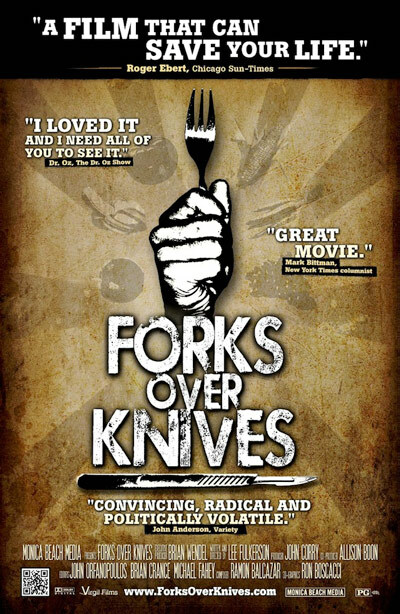 If you are Tivo-less or did not have a chance to watch an episode during its original run, you can always head over to the Food Revolution page on ABC.com. This week had a back-to-back twp-episode special. I will comment on both episodes in this post. Jamie himself! In a television land littered with over-the-top gurus (i.e. : The Biggest Loser’s obnoxiously tough-loving Jillian Michaels and Bob Harper, Celebrity Fit Club‘s “I’m a tough former marine, hear me roar” Sergeant Harvey Walden, the overly-polished Dr. Oz), Jamie Oliver just… is. Whereas two continuous hours of any of the previously mentioned “personalities” would be as pleasant as hammering my toes hard for me to sit through, I thoroughly enjoyed Jamie. The lack of Chiclet-like beaming veneers, bulging muscles, designer clothing, and Stepford-ish manufactured quips is a breath of fresh air on network television. Realistic resistance. While we can’t forget this is reality television (we are shown a very small percentage of what was filmed, and it is presented to us in a very carefully edited fashion), I appreciated the realism depicted. The Edwards family did not magically give up pizza and soda overnight, nor were the elementary school students begging for more of Jamie’s salad the first day they tried it. 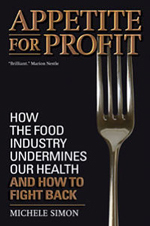 This is precisely why we are talking about a food revolution; this is massive change that happens gradually. Kitchen confidential: I was so glad that this show depicted what takes place — and, most importantly, doesn’t take place! — in school cafeterias across the country. Unused appliances, bundles of frozen processed food ready to be reheated, and who can forget those artificially colored hygrogenated oil-laden potato pearls? The bigger issue. 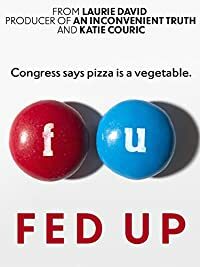 I initially feared that this show would be too “micro”, and depict Huntington school officials as the ones who had complete authority over what students ate. 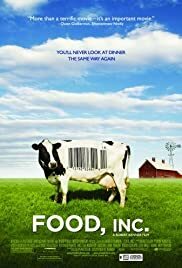 While the school officials’ lack of questioning (and sheep-like following) of USDA school lunch standards was disturbing, I was glad that the show briefly touched on the bureaucracy that surrounds school lunch (the best example being that every lunch must contain two grain servings). Dollars and cents. The scene in which Jamie first met with the elementary school’s director of food services, ended on a powerful last note. The camera zoomed in on the words “all about the $” on a whiteboard. That served as an important reminder that schools in the United States are under very tight budgets when it comes to school lunch. The first five minutes. Pizza and sugary cereal floating in fluorescent sugar-spiked milk for breakfast. You couldn’t have asked for more powerful — and horrifying — images. What happened to the 3 Rs? : The complete absence of recycling absolutely bothered me. I don’t expect Jamie Oliver to tackle that as well, but my blood pressure rose significantly every time I saw a plastic milk bottle get thrown into a regular trash can. Food waste. I understand that showing the gallons of chocolate milk consumed on a weekly basis makes a strong point, but I never like to see food wasted for the sake of making a point. A part of me hopes that the “chocolate milk” poured into that parachute was dyed water? Maybe? Perhaps? Anyone? 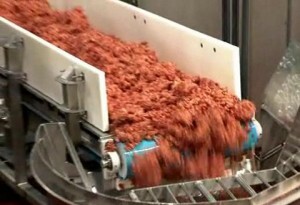 Meat, meat, and more meat. 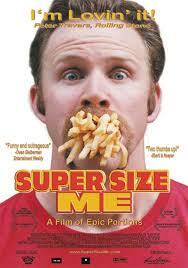 I wish Jamie would have prepared at least one meatless meal at the school cafeteria. 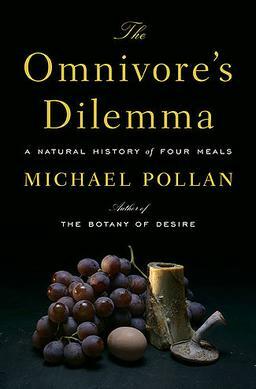 A bean-based chili, pasta primavera, or rice and beans would have easily made the point that a filling meal can be done without the presence of meat on a plate. 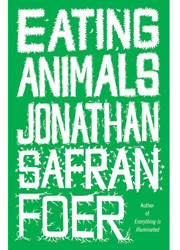 This is not about converting anyone to vegetarianism, but to help people think outside the prevalent “one meat and two veg” box. Adults matter, too. When Jamie discussed the cafeteria’s overly processed offerings to the cooks, he was met with “so what?” attitudes and responses along the lines of “I eat that all the time.” In one instance, Jamie responded by saying “it doesn’t bother me that adults eat it.” While I understand the angle this show is going for is the “think of the children!” one (which always strikes a chord with viewers), healthy eating is just as important for adults. I’m looking forward to next week’s high school episode. It should present a larger challenge, since dressing up as a vegetable and doling out “I tried something new!” stickers are not going to prove effective. I am glad the show is tackling an entire school system, rather than only focusing on the much-easier-to-mold-and-entertain pre-school and elementary school students. 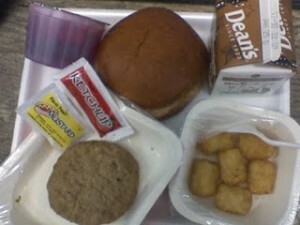 School lunch is THE hot topic these days. 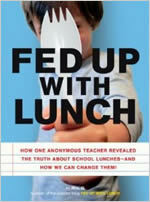 From Mrs. Q’s latest cafeteria atrocity to Jaime Oliver’s Food Revolution, millions of Americans have come to the realization that children across the country are being fed the equivalent of nutritionally void scraps. 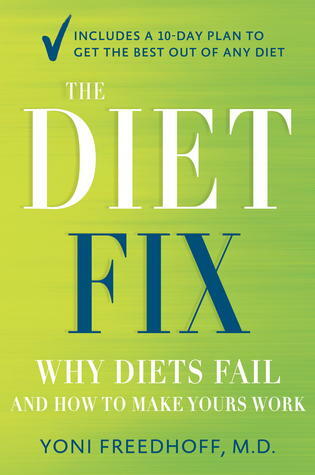 While many clearly understand that a lunch tray piled with microwaved pizza, fruit in heavy syrup, chocolate milk, and pretzels is a far cry from a nutritious meal, they have a hard time imagining a suitable — and realistic — alternative. These charts demonstrate that healthier school lunches that fit within United States Department of Agriculture guidelines — a “must” for any school that participates in the National School Lunch Program — are by no means a pipedream. 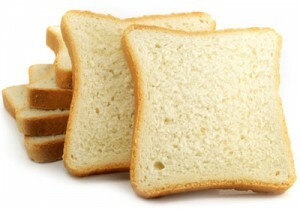 Ninety-five percent of bread products available at public school cafeterias across the country are of the refined “white flour” variety, offering negligible amounts of fiber and fewer nutrients than whole grain types. This pitiful statistic goes back to issues surrounding federal national lunch guidelines and agricultural subsidies. 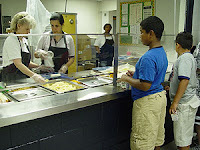 According to figures from the School Nutrition Association, school cafeterias receive $2.65 dollars, per student, from the government, for a complete lunch. Mind you, this amount includes expenses like cafeteria workers’ salaries. Whole grain options (the few that are available from vendors) cost five or ten additional cents per student, so you can understand why schools are not exactly itching to get more of these healthy foods into their lunch rooms. I firmly believe the government needs to provide incentives for schools to serve as many grains as possible in their whole, more nutritious form. A few school districts currently require a certain amount of whole grains on the menu, but that is a completely voluntary move. Of course, this requirement should be met in the simplest of terms (ie: whole grain tortillas and sliced bread to make wraps and sandwiches, whole grain dinner rolls to accompany entrees, lightly-salted air-popped popcorn as a snack, etc.) as opposed to a sodium-loaded slice of pizza with processed cheese on a semi whole-wheat crust. Allow me to clarify — the occasional refined grain product is no cause for concern. 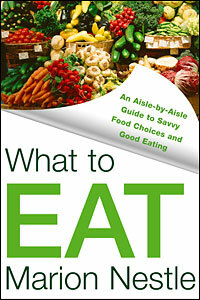 A diet does not need to be 100% whole grain to be healthy. However, in a country where children, on average, get only half of their daily fiber recommendations, it is necessary to examine how improvements can be made. The guarantee of a 100% whole grain lunch at school is a significant start. PS: The New York Coalition for Healthy School Lunch has made tremendous strides in several of that city’s public schools. Check out their website for more information, particularly the “creating change in your school” page. ____ percent of bread products available at public school cafeterias across the country are of the refined “white flour” variety, offering negligible amounts of fiber and fewer nutrients than whole grain types. 71 percent of readers who cast their vote in the latest Small Bites survey support zoning laws that regulate fast food chains’ proximity to schools. Studies are beginning to highlight the negative health consequences that stem from a lack of zoning laws. One recent study conducted at the University of California, Berkeley, found that students who attend schools located within a one tenth mile radius of a fast food establishment are 5.2 percent more likely to be obese than students who attend schools located further away from these restaurants. 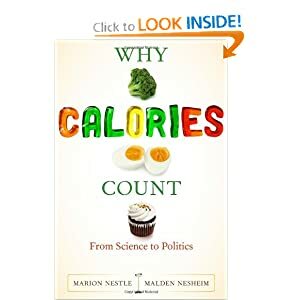 A 2004 study published in the Annual Review of Nutrition concluded that adolescents who consume fast food on a daily basis eat an average of 187 more calories a day than those who eat fast food less frequently. These additional 187 calories can amount to weight gain nearing 19 pounds in just one year. 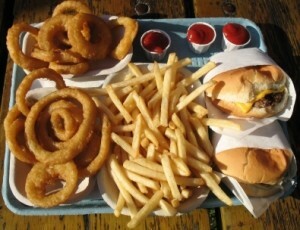 Additionally, the Coronary Artery Risk Development in Young Adults (CARDIA) study concluded that consumers who eat fast food two or more times a week had a one-hundred percent increase in their insulin resistance compared to consumers who ate at fast food establishments less than once a week. 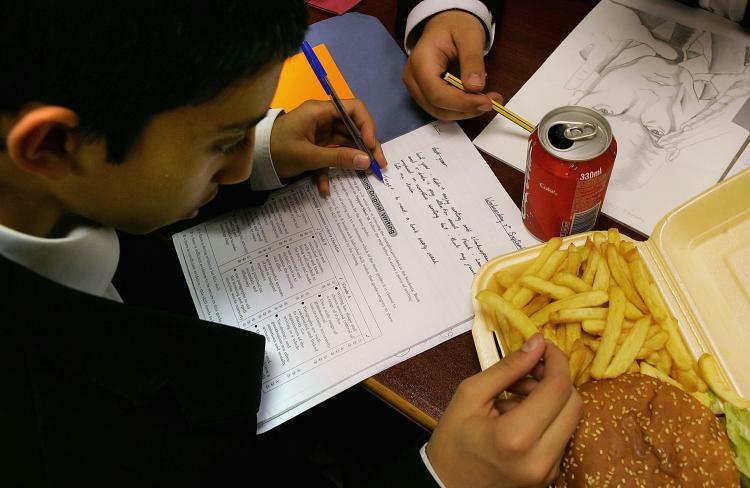 In large US cities, the proximity of fast food establishments to schools is undeniable. Eighty percent of Chicago’s elementary and high schools have at least one fast food restaurant within a half mile, and 18 schools in New York’s East Harlem are located within 500 feet of a fast food restaurant. I do not consider these zoning laws a “solution to a problem” as much as a necessary step to solve the REAL issue — improving the moribund National School Lunch Program. How can we expect healthier school lunch policies — and, no, that does not mean steamed peas and paltry salad bars with wilted lettuce — to be effective if students, particularly those allowed off-campus during lunch hours, have fast food available to them a few blocks away? The folks at ConAgra appear to be quite proud of their Kid Cuisine products. Aimed at elementary school students, these ready-to-eat lunches are — believe it or not — advertised as healthy items. Let’s analyze one variety. How about the Dip & Dunk Toasted Ravioli? Beside the slightly disturbing fact that we have to be assured this product contains “real” cheese (as opposed to… cheez? ), I find the breading of ravioli rather odd — and unnecessary. The nutrition label displays 9 grams of fiber (good!) and one tenth of the daily potassium requirement (not bad! ), but also a third of a day’s worth of sodium (yikes!) and 18 grams — 4 and a half teaspoons’ worth — of sugar. Oddly enough, Conagra advertises this product as containing 20 percent of MyPyramid’s suggested daily servings of grains. How this is a selling point beats me; no one in this country has any problem getting their recommended servings of that food group! 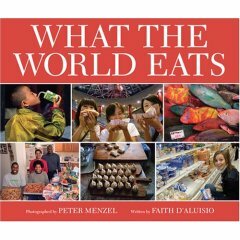 The ingredient list, not surprisingly, is very long (the cheese ravioli, for instance, contain a garlic puree made with high fructose corn syrup) and includes one of my pet peeves: unnecessary sweetening. It turns out the side of corn isn’t simply corn kernels. Nope, it’s corn with water and sugar. Then there’s the “fruit shaped and fruit flavored” snacks. In other words, it looks like a fruit and tastes like a fruit, but it’s just sugar. * Replace the breaded ravioli with baked, 100% whole grain cheese-and-broccoli bites. 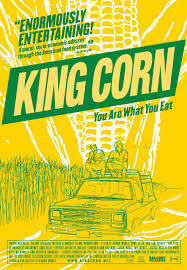 * Offer corn kernels in their naturally sweet state. * Replace the fruit snacks with unpeeled apple slices. 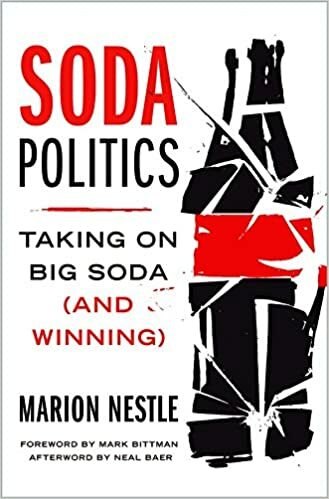 Those three changes could slash the sugar content approximately by half and lower the sodium by roughly 150 milligrams. Many moms and dads all over the United States know what the start of the school year means — packing a lunch for their children! So how do you pack an interesting and tasty lunch (which, for this posting’s sake, I will assume can not be heated in school)? Here are a few ideas. Next time you make a sandwich, get your cookie cutter out. Forget the traditional diagonal slice and instead turn that square slice of bread into a star, a cat, or even a gingerbread man. 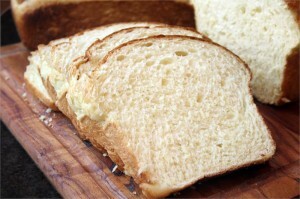 A sandwich made with one slice of 100% whole wheat bread and another of white bread still packs in 3 to 4 grams of fiber. Here’s a kid-friendly way to boost a bagged lunch’s fiber content. Buy 100% whole wheat pitas and cut each one into eight small triangles. Brush a thin coating of extra virgin olive oil on them, sprinkle a little salt (and, for an extra kick, either some paprika, rosemary, or oregano), and toss them in the oven (350 Fahrenheit) for approximately 20 minutes. For a sweet twist, sprinkle cinnamon, nutmeg, and 1 teaspoon of sugar (a mere 16 calories) over them. Make a big batch on Sunday afternoon for the rest of the week. In a blender, mix two of your child’s favorite fruits with 2% milk. Add a tablespoon of flaxseed, another of oat bran, mix, and pour into a thermos! These two ingredients add nutrition and texture to the smoothie but don’t affect the taste one bit. You Ask, I Answer: Cow Or Soy Milk? When it comes to milk, is soy milk better for kids than regular cow’s milk? I don’t consider either “better” than other. This ultimately depends on personal preference and a few other factors. I don’t have a problem with children drinking skim or low-fat milk, provided that they aren’t lactose intolerant, of course. 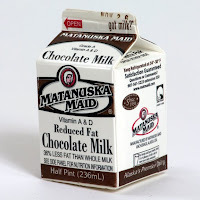 What disappoints me is that so many schools offer chocolate milk to children (and label it a “healthy” alternative simply because it contains calcium). A single cup contains a tablespoon of added sugar. It’s fine as a treat, but I don’t find it to be the optimal beverage to accompany a meal on a daily basis. Unfortunately, the majority of milk in the United States — chocolate or not — in the United States is produced by cows that chow on corn all day long and are injected with antibiotics and growth hormones. 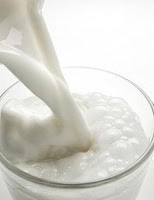 Milk in and of itself is a nutritious beverage, though, providing high-quality protein, calcium, vitamin D, vitamin A, phosphorus, and potassium. I would highly recommend opting for organic, grass-fed varieties. Soy milk is a perfectly fine alternative. Most varieties are fortified with vitamin D and provide a good amount of calcium, protein, and potassium. I would be more concerned with what they’re eating along with that cold glass of (dairy or soy) milk. *UPDATE* Thank you to reader “gd” for pointing out that vanilla and chocolate flavored soy milks also contain quite a bit of added sugar. I erroneously assumed everyone reads minds and would telepathically infer I was only referring to regular soy milk in this post. So, if you are opting for soy milk, I suggest going for plain or unsweetened varieties. 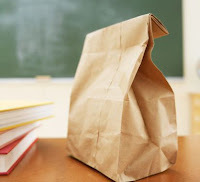 A group known as The Physicians Committee for Responsible Medicine have published a 2007 school lunch report card, grading 22 elementary schools from the 100 largest educational districts in the United States. Final scores were tallied by evaluating offerings via the following categories — obesity & chronic disease prevention, health prmotion, and nutrition initiatives. 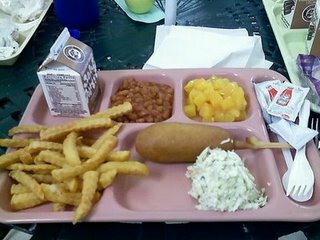 You may remember that back in mid August I reviewed several schools’ lunch menus on this blog — and was absolutely horrified.